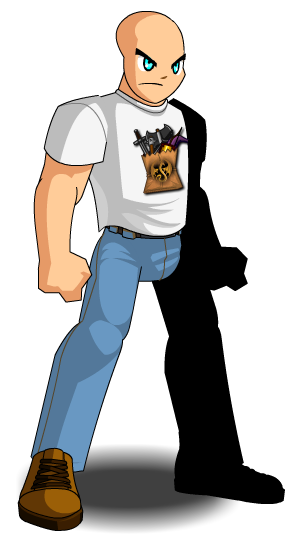 Description: HeroMart Shirt - 103% Cotton-poly blend Artix Ent shirts will NOT protect you from Stryche-ing blows and jealous customs agents. They WILL protect you from lack of style and bad fashion choices. Thanks to Maicompdr and Superkeryu.